In addition to the elevation data they contain, the elevation map component of an Armored Task Force game map also contains all of the special terrain (trees, roads, water, and urbanization) for the ATF game map. This terrain impedes or aids movement and visibility and creates a tough, complex battlefiled for Armored Task Force players who will play your scenario. There are two components which make up the terrain you see on the Armored Task Force map. The first is the Terrain Type List and the second is the Terrain List (again, both are saved as part of the .emp, Elevation Map file). The Terrain Type List is like a database that contains all of the information about the different terrain types on the map and how they interact with units and are drawn on the screen. 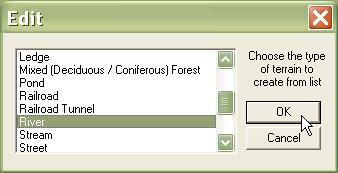 The Terrain List is the actual terrain objects on the map, each of a type described in the Terrain Type list. While you can start from scratch and build a brand new Terrain Type List, why? Armored Task Force ships with a ready-made list that you can use in your own maps. Once you load this list, it becomes part of the Elevation Map. So, making changes to the Terrain Type List after you have imported it will not alter the Terrain Type List provided with ATF. 1. 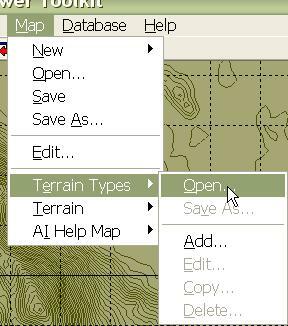 Select the 'Open...' function from the 'Terrain Types' sub-menu of the 'Map' menu in the ATF Power Toolkit. 2. You will be prompted for the name of the list file to load. 'atf1.ttp' is the file that ships with Armored Task Force, and is the foundation of all maps that ship with ATF. 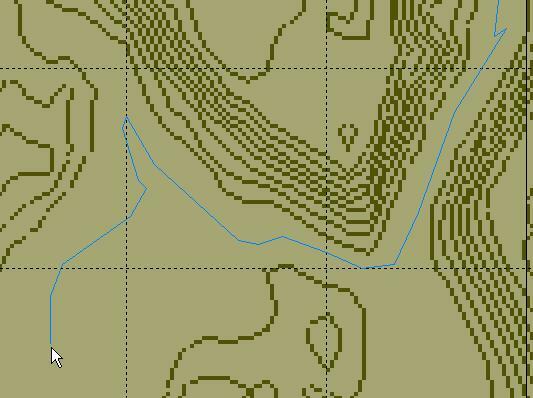 Now that you have the Terrain Types loaded into your Elevation Map, you can draw terrain objects on the map. If you are recreating real terrain, you will need to be very careful to replicate the location of trees, roads, and rivers. But, if you are creating a map from your imagination, it is only important to capture the 'feel' of a real map. 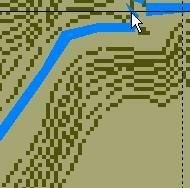 Rivers run in low ground, and roads generally follow contours to minimize grades. It is not a good idea to overlap terrain. While it will not 'break' Armored Task Force, it will almost certainly create unanticipated effects. It is better to draw terrain adjacently. Check out some of the current Armored Task Force maps to see the best design practices in action. 1. 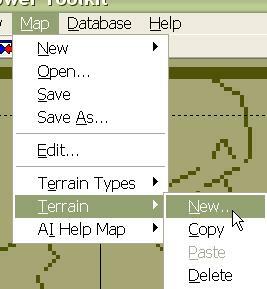 First, initiate a new terrain object by selecting 'new' from the 'Terrain' sub-menu of the 'Map' menu. 2. Select the type of object you wish to create. 3. Begin left-clicking on the map to indicate outline of the terrain object you are creating. For streets and rivers you will have to draw the complete outline to get a realistic effect. 4. 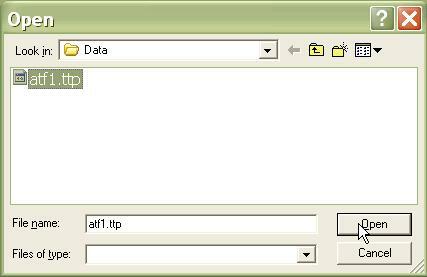 When you are done drawing the terrain object, right-click to complete the object. The Power Toolkit will connect the first and last point to close the object. That's it! Repeat these steps until you have added all of the terrain you wish to add.